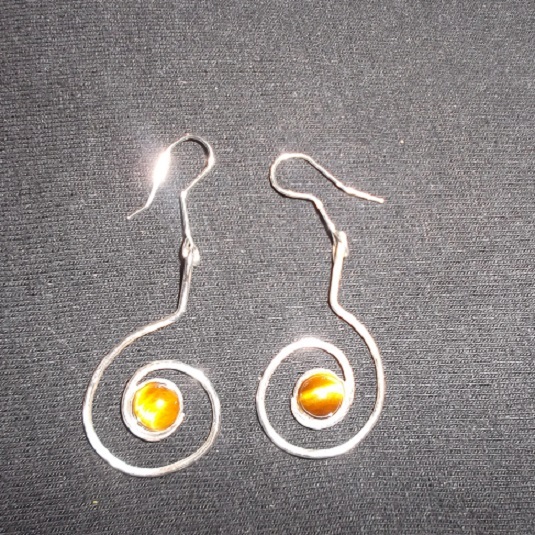 These sterling silver swirl with gemstone are made of 16 gauge solid sterling silver. 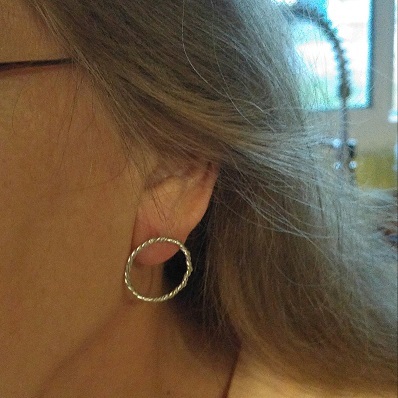 Fashioned into a simple swirl design. Shown here with 8 mm Tiger Eye. 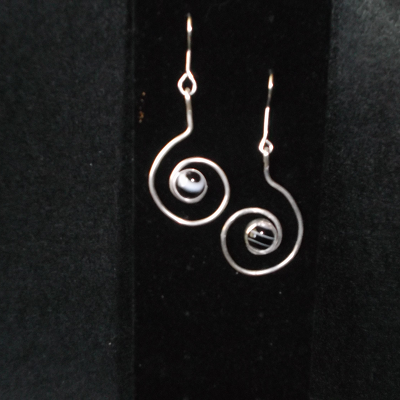 These sterling silver swirl with gemstone are made of 16 gauge solid sterling silver. Fashioned into a simple swirl design. 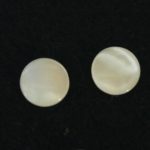 They hang approximately 2 1/4 inches from the top of the ear wire to the bottom of the swirl. Measuring also, approximately 7/8 inches across. 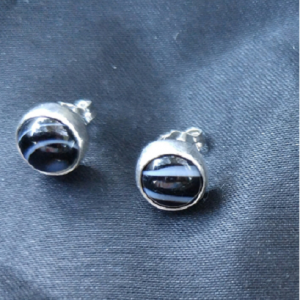 They are very easy to wear all day. 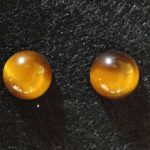 Shown here with 8 mm Tiger Eye. Other gems are available. 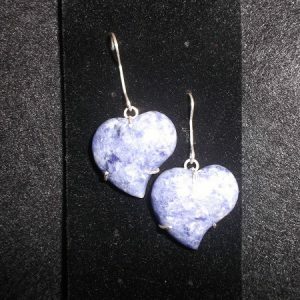 The French ear wires are also handmade of 20 gauge sterling silver. 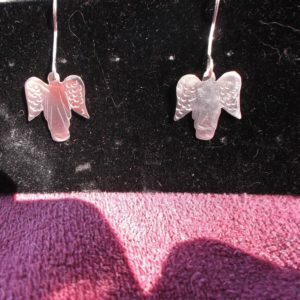 Please understand that these are natural gemstones. This means that no 2 gems are going to be exact. The pictured gemstone may not be identical to the one you receive.